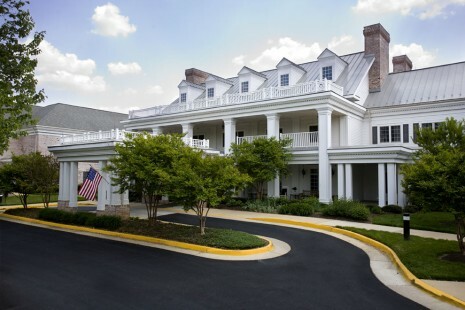 Beautifully situated in a private, meticulously landscaped setting surrounded by lovely gardens, walkways, and towering trees, this charming assisted living community for seniors offers gracious amenities, southern charm, and exceptional individualized continuing care and assistance. Discover our beautifully appointed, light-filled apartments and community areas. Here, residents experience effortless living, unparalleled hospitality, and the many benefits of state-of-the-art programs and facilities. Our compassionate care and 24/7 controlled access provide residents and their loved ones with a sense of relief, and peace of mind. And our convenient location, just minutes from Washington, D.C. and surrounding communities, is close to major access routes.